It seems it takes a Canadian perspective to critically relate to the dangerously evolving political climate in the U.S.A.
We’ve seen it with Toronto-born Lorne Michaels, executive producer of Saturday Night Live, and the brilliant satire he piloted of this year’s U.S. presidential election. Months before, Vancouver-born Brooklyn resident D’Arcy James Argue produced his latest work, a 13-section suite that encapsulates in an avant jazz setting the fear, foreboding, and tension in the evolving American socio-political culture. Make no mistake, this is no simple work of agit-prop, rather a descriptive, sometimes gripping musical tour de force, played with artful passion by his 18-piece Secret Society Orchestra. The CD is beautiful to listen to, and follow, even when it seeks to shock. It won this year’s Grammy for Best Large Ensemble Album. The music is laced with cuts from the news, developments that speak of conspiracies, manipulation, and suppression of freedoms, all expressed in a variety of styles. The pieces, ranging from 4 to 8 minutes, feature such inspiring soloists as Canadian trumpeter Ingrid Jensen, reedists Sam Satigursky and Dave Prieto, and James Urbaniak narrating on Who do You Trust? The “enemy” is inherent to “the paranoid reading of history, Urbaniak notes — “a perfect model of malice ” — but never identified specifically. But “they” are watching, listening, and monitoring, warning, “There is no room for mistakes, failure, or ambiguity.” Listen up: the music is the message. 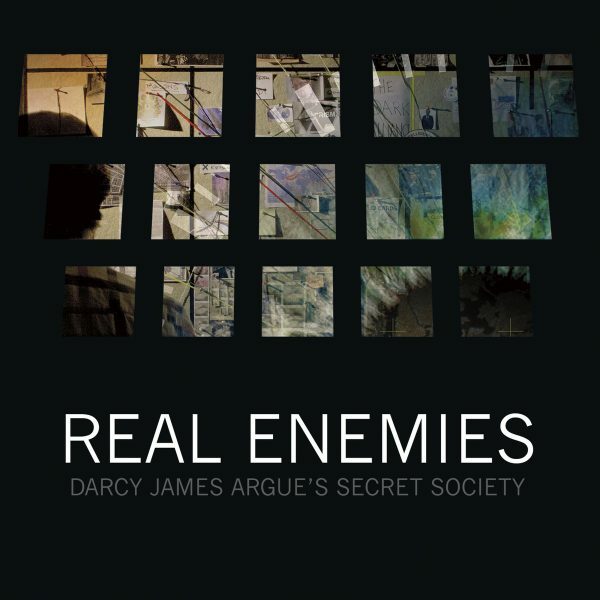 Be the first to comment on "CD review: D’Arcy James Argue & Secret Society: Real Enemies"